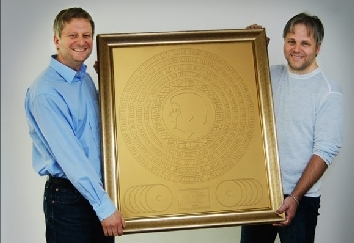 Eight years ago, in 2005, I was presented with an exclusive gold record, saying my songs had participated in sales of more than 100 million records worldwide. In connection to this special event, I sat down with a music journalist and discussed my career that far. We talked about songwriting, Simon Cowell, Westlife, Pop Idol and the winning song I co-wrote for the first American Idol, Kelly Clarkson. Today, in 2013, some say that sales have exceeded 160 million. If that’s true, it’s absolutely amazing!